Featured image courtesy of Just Think Twice. Canada legalized cannabis just under two months ago, but edibles still remain as illegal as ever- that is, until Oct. 17, 2019, which is when the Trudeau government plans to legalize cannabis edibles and concentrates. But MJ Biz Daily has reported some promising news, just in time for Christmas- we can expect to see the draft regulations for edibles and concentrates sometime this month! These regulations, which will outline the sale and production of edibles and concentrates, are being eagerly awaited by entrepreneurs, corporations, and regular Canadians alike, and they will be published in the Canada Gazette, the official newspaper of the Canadian government. 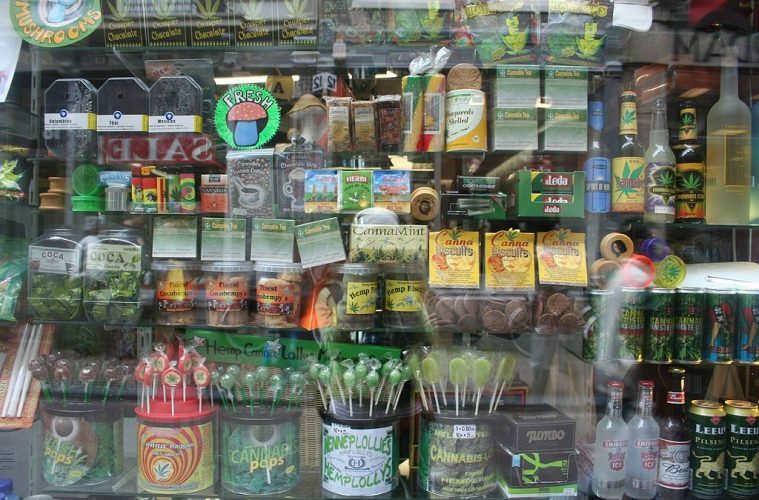 That election, by the way, is Canada’s 43rd federal election, which is scheduled for Oct. 21, 2019- a mere four days after edibles are concentrates are slated to be legalized, meaning that edibles may very well become a big issue this election. Also keep in mind that only 4 days after edible and concentrates are supposed to be legalized, the federal election happens, so there’s a distinct chance that concentrates and edibles may become an election issue. Some licensed producers, like Tragically Hip-backed Newstrike, are already making preemptive strategic partnerships with specialty food producers, just waiting for the moment when edibles and concentrates are legal. Why are edibles so popular? There’s zero learning curve to consuming edibles, first off. You don’t have to learn how to roll a joint or know how to work a dab rig or do a bong rip- all you have to do is eat it. If you want to control your dosage, the most you might do is cut the edible into smaller pieces. Edibles are also one of the healthier ways for you to consume cannabis, especially compared to smoking because there’s no harm done to your lungs- but edibles can take the longest to kick in and can be extremely potent when they do. From all the different kinds of edibles you can get (including, but not limited to, hard candies, gummies, lollipops, chocolates, baked goods, infused beverages, and so much more) to the potency (which can range anywhere from 5 mg of THC to over 400 mg! ), the government has a lot of work and research to do before the self-imposed deadline. That’s not even mentioning concentrates like shatter, budder, and vape pens, which are supposed to be legalized at the same time as edibles. But there is still a lot of uncertainty. It remains to be seen whether the government will even allow product categories like gummies and candies because they could be seen as too enticing for children. The government could also introduce potency limits. That means the cannabis industry needs to remain flexible to adapt to the new rules, whatever they are and whenever they come out. Financial Post: Cannabis producers cooking up strategies for edibles, despite regulatory uncertainty. MJ Biz Daily: ‘Christmas is coming early’: Canada’s draft rules for marijuana edibles expected in coming weeks.